In the late 1880s, George Vanderbilt began working with Frederick Law Olmsted to lay out the vision for his estate in Western North Carolina. He asked Olmsted to design an oasis that he and his family and friends could enjoy, but also a working estate, drawing on the latest in scientific knowledge to manage farms and woodlands. Olmsted laid out the estate roads, fields, pastures, gardens and conservatory and, in turn, brought in Gifford Pinchot, America’s first forester, who would write the first forestry management plan. Join Parker Andes, Biltmore Estate’s horticulture director, for a special evening class on Gardening on the Historic Biltmore Estate. Andes will present some of the original design ideas which Biltmore strives to maintain today and will offer considerations for contemporary application for today’s landscapes. 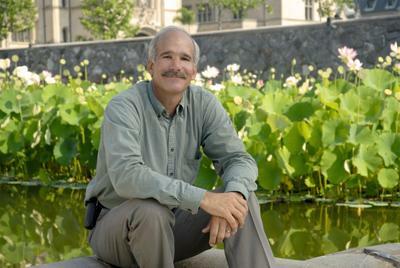 Looking at form and function, he will bring Biltmore’s garden spaces down to an understanding of manageable scale and will share wise words for managing landscapes. This is free, however, standard Arboretum parking fees apply. Space is limited and prior registration is requested. This class will serve as two elective credit hours for the Arboretum’s Blue Ridge Eco-Gardener Certificate. Parker Andes serves as the horticulture director at Biltmore Estate in Asheville, overseeing the forestry programs and all historic and non-historic landscapes on the 8,000-acre estate. He ensures these acres meet the mission of preserving Biltmore as a privately owned, profitable, working estate. Andes has worked at Callaway Gardens as director of horticulture and previously at Longwood Gardens and Busch Gardens. He received his bachelor’s degree in plant and soil sciences from West Virginia University.